Technical systems are continuously getting more complex and are expected to run more reliable and at lower costs. At the same time the end customer or regulations require continuous monitoring and/or tracability back to the production line ID and operation conditions. The sensors and data type, quality and accessibility have usually not been designed specifically for M&D. Improved accessibility and smart data processing from the existing instrumentation can already do wonders. But miniature low-power sensors descending from smart phone technology offer exiting new, small and cost effective solutions. It has become possible to ship sensors with the product, transmit the data over long distances or log the data for several months or years. Availability of data is no longer a limiting factor. Unlike for traditional measurement equipment, off-the-shelf solutions barely exist and the sensor characteristics, e.g. restricted sampling rates, require careful design and validation. Even with the price for the sensor hardware becoming more and more negligible, the development and in particular data misinterpretations can be a costly adventure. The day-to-day operations and full R&D schedules sometimes do not provide the room for trial and error so traditional M&D concepts prevail over new and innovative solutions with huge potential. Sensors become smart! Low-power wireless technology and miniaturized sensors can be combined to become a new generation of intelligent and cost-effective sensor systems with unprecedented capabilities. The sensors can now be placed within a product container or move with a part of the machinery, providing invaluable insights into the process. To accept new and exciting ideas you need a working prototype. We would like to take you on the ride! We think out of the box and adopt available components to come up with sometimes surprisingly efficient solutions. To prove the concept, we work early on with functional models and prototypes. It is so much more efficient to have a working device at hand in discussions and be able to test solutions quickly. 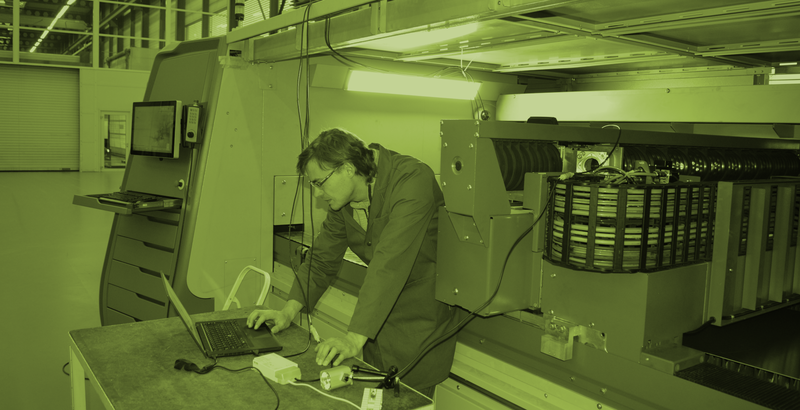 We have a strong background in measurement technology, advanced data and image processing. 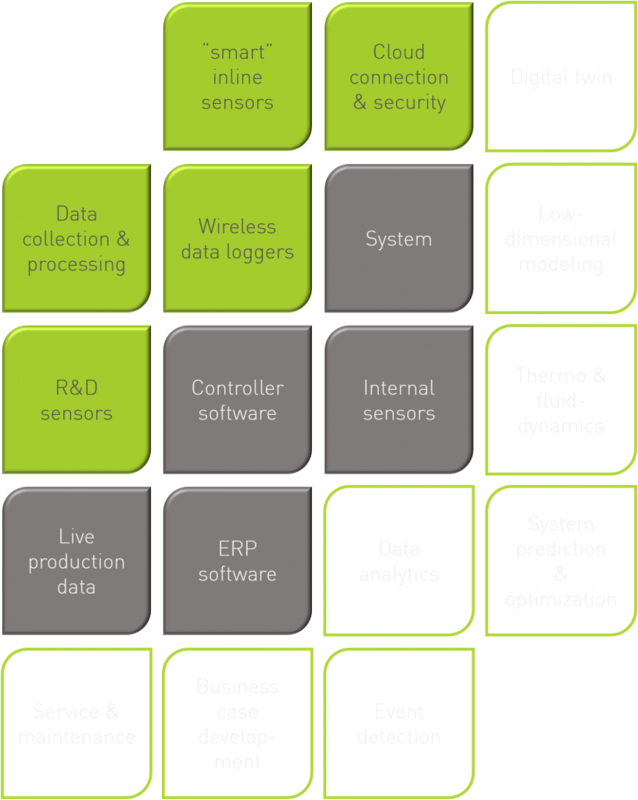 We know the advantages and weak points of the different sensor principles and when data can be trusted. From many projects we are also well aware of constraints in cost and time. We deliver more than a concept. Our partner network enables us to lead through the project all the way from the initial idea to industrialization.